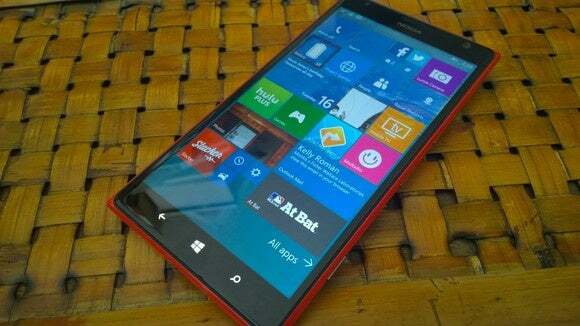 Details are sparse, however, and Microsoft won't comment. Microsoft could roll out Windows 10 Mobile to older Windows Phone 8.1 phones as early as Thursday, according to a new report. Former Twitter leaker and now VentureBeat contributor Evan Blass wrote Microsoft will announce the availability of Windows 10 Mobile tomorrow. 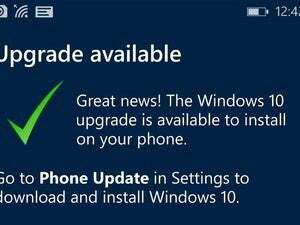 According to Blass, users of select Windows Phone 8.1 devices will have the opportunity to request the update that same day. The update will be available only to a subset of the existing Windows Phone market, however, and which devices those would be wasn’t clear. Microsoft hasn’t laid out what you need to do to prepare yourself for the update, but one step seems almost certain: your existing Windows Phone will need to be up-to-date, with Windows Phone 8.1 installed. How well the Windows 10 software will run on even older phones is unknown. Microsoft representatives declined to comment. Why this matters: What is clear, unfortunately, is that Microsoft originally promised “broad availability of Windows 10 on other devices, including mobile phones, will begin rolling out in December”—and it’s now March. That’s prompted a growing discontent among some Windows fan sites, who have noted that Windows 10 Mobile was announced in January 2015, but has taken more than a year (and counting) to be deployed to Microsoft’s existing base of Lumia phones, as well third-party Windows Phones like the HTC One M8. Microsoft needs to push this update out, and fast. If Microsoft does plan to roll out the update on Thursday, there have been no hints. Microsoft’s Gabe Aul, the Microsoft vice president who oversees the Windows and Devices group team, wrote on Twitter that he had “no news to share” on new software releases. He had previously indicated that his team was working on a new build of Windows 10 for the “Fast” ring of the Windows Insider beta program, but hadn’t indicated whether it was for mobile phones or desktops. Microsoft’s market share has fallen to about 1 percent of worldwide smartphone users, according to fourth-quarter 2015 results released by Gartner in February. ComScore has been slightly more favorable, reporting for March that Microsoft held a 2.7 percent share of all smartphones in the United States, a rolling three-month average that the company said was unchanged from the same period three months ago. This week has also been marked by the official departure of Here Mapsfrom the Windows 10 ecosystem. But there was a bright spot, too: Twitter announced its first Windows 10 universal app, which will be used on mobile devices as well as desktops.